English author Charles Dickens continues to be one of the most widely read Victorian (nineteenth-century) novelists. Scrooge, David Copperfield, Oliver Twist, and Nicholas Nickelby remain familiar characters today. His novels describe the life and conditions of the poor and working class in the Victorian era of England, when people lived by strict rules. Charles John Huffam Dickens was born on February 7, 1812, at Portsea (later part of Portsmouth) on the southern coast of England, to John and Elizabeth Dickens. Charles was the second born of eight children. His father was a pay clerk in the navy office. Because of financial difficulties, the family moved about until they settled in Camden Town, a poor neighborhood in London, England. At the age of twelve Charles worked with working-class men and boys in a factory that handled "blacking," or shoe polish. While his father was in debtor's prison, the rest of the family moved to live near the prison, leaving Charles to live alone. This experience of lonely hardship was the most significant event of his life. It colored his view of the world and would later be described in a number of his novels. Charles returned to school when his father received an inheritance and was able to repay his debts. But in 1827, at age fifteen, he was again forced leave school and work as an office boy. In the following year he became a freelance reporter and stenographer (using shorthand to transcribe documents) at the law courts of London. By 1832 he had become a reporter for two London newspapers and, in the following year, began to contribute a series of impressions and sketches to other newspapers and magazines, signing some of them "Boz." These scenes of London life went far to establish his reputation and were published in 1836 as Sketches by Boz, his first book. On the strength of this success Charles married Catherine Hogarth. Together they had ten children. monthly installments, a form of serial publication that became a standard method of writing and producing fiction in the Victorian period. So great was Dickens's success with the procedure that Pickwick became one of the most popular works of the time, and continued to be so after it was published in book form in 1837. After Pickwick 's success, Dickens began publishing his new novel, Oliver Twist. He was also now editor of Bentley's Miscellany, a new monthly magazine. He continued publishing his novel in his later magazines, Household Worlds and All the Year Round. Oliver Twist expressed Dickens's interest in the life of the slums to the fullest, as it traced the fortunes of an innocent orphan through the London streets. Though Dickens's career was successful, for the next decade his books did not achieve the standard of his early successes. These works include: Nicholas Nickleby (1838–1839), The Old Curiosity Shop (1840–1841), and Barnaby Rudge (1841). In 1842 Dickens, who was as popular in America as he was in England, went on a five-month lecture tour of the United States, speaking out strongly against slavery and in support of other reforms. On his return he wrote American Notes, a book that criticizes American life as being culturally backward and materialistic (characterized by the desire for wealth and material goods). His next novel, Martin Chuzzlewit (1843–1844), describes the hero finding that survival on the American frontier is more difficult than making his way in England. During the years in which Chuzzlewit appeared, Dickens also published two Christmas stories, A Christmas Carol and The Chimes. After a year abroad in Italy and writing Pictures from Italy (1846), Dickens published installments of Dombey and Son, which continued till 1848. This completed novel established a new standard in the Dickensian novel and marked the turning point in his career. As its full title indicates, Dealings with the Firm of Dombey and Son is a study of the influence of the values of a business society on the personal fortunes of a family and those with whom the family meets. It takes a somber view of England at mid-century, and its tone becomes characteristic of Dickens's future novels. Dickens's next novel, David Copperfield (1849–1850), is the first complete record of the typical course of a young man's life in Victorian England. This autobiographical novel fictionalized elements of Dickens's childhood, his pursuit of a journalism career, and his love life. Though Copperfield is not Dickens's greatest novel, it was his personal favorite. In 1850 Dickens began a new magazine, Household Words. His editorials and articles touched upon English politics, social institutions, and family life. They also spoke to the fictional treatment of these subjects in Dickens's novels. The weekly magazine ran to 1859, when Dickens began to conduct a new weekly, All the Year Round. In both these periodicals he published some of his major novels. The 1850s were a sad and dark time for Dickens. In 1851, within a two-week period, Dickens's father and one of his daughters died. In 1858, a year after he fell in love with an actress, he separated from his wife. Partly in response to the deaths, Dickens's next series of works were called his "dark" novels, though they rank among the greatest triumphs of the art of fiction. In Bleak House (1852–1853), perhaps the most complicated plot of any English novel, the narrative served to create a sense of the interrelationship of all segments of English society. In Hard Times (1854), Dickens describes an English industrial town during the height of economic expansion, and details an up-close view of the limitations of both employers and reformers. Little Dorrit (1855–1857) may be regarded as Dickens's greatest novel. In it he portrays the conditions of England as he saw it, and the conflict between the world's harshness and human values in its most impressive artistic form. In this period Dickens also began to give public readings from his novels, which became even more popular than his lectures. In 1859 Dickens published A Tale of Two Cities, a historical novel of the French Revolution. Besides publishing this novel in the newly founded All the Year Round, Dickens also published seventeen articles, which appeared as a book in 1860 entitled The Uncommercial Traveller. Dickens's next novel, Great Expectations (1860–1861), is regarded by some as his most perfectly executed work of art. It is a story of a young man's moral development from childhood to adult life. Three years later he produced Our Mutual Friend, which provides an insight of how he viewed London. For several years Dickens's health declined. He never fully recovered from a railroad accident in 1865. He tired himself out by continuing to travel throughout the British Isles and America to read before audiences. He gave a final series of readings in London that began in 1870. 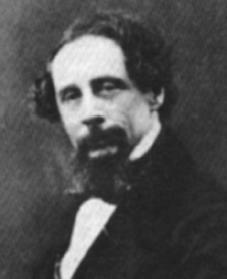 Dickens died of a fatal stroke on June 9, 1870, leaving the novel, The Mystery of Edwin Drood, unfinished. The day of his burial was made a day of national mourning in England. Chesterton, G. K., and F. G. Kitton. Charles Dickens. London: Hodder and Stoughton, 1903. Reprint, London: Burns and Oates, 1975. Epstein, Norrie. The Friendly Dickens: Being a Good-Natured Guide to the Art and Adventures of the Man Who Invented Scrooge. New York: Viking, 1998. Marcus, Steven. Dickens: From Pickwick to Dombey. New York: Basic Books, 1965. Sirabian, Robert. Charles Dickens: Life, Work, and Criticism. Toronto: York Press, 2002. Smiley, Jane. Charles Dickens. New York: Viking, 2002.